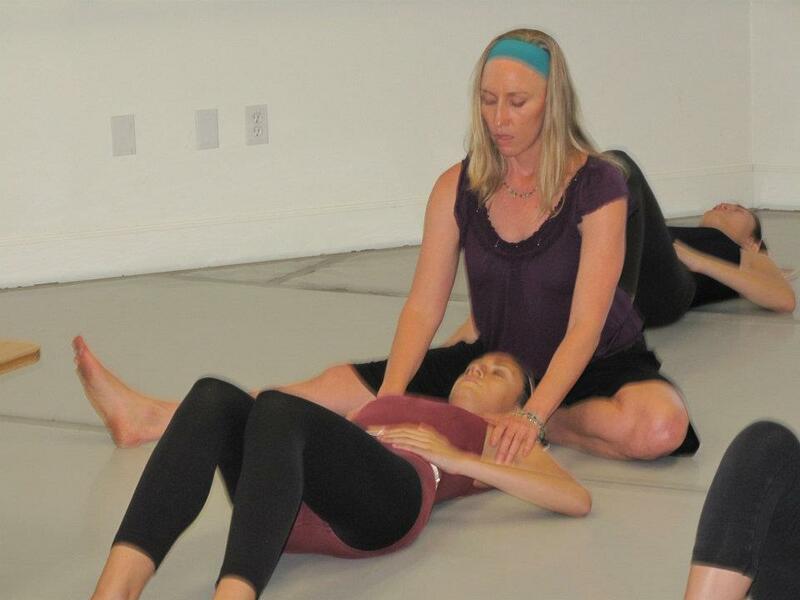 Los Angeles Alexander Technique teacher, Sharon Jakubecy, teaches group Constructive Rest during a workshop at Djanbazian Dance Academy La Crecenta Montrose. In group classes, the teacher will float around the room doing brief hands-on with each student, assisting, encouraging deeper rest and release. Reply to this post with your own unique photos of Constructive Rest, perhaps in exotic or unusual places or just for fun!